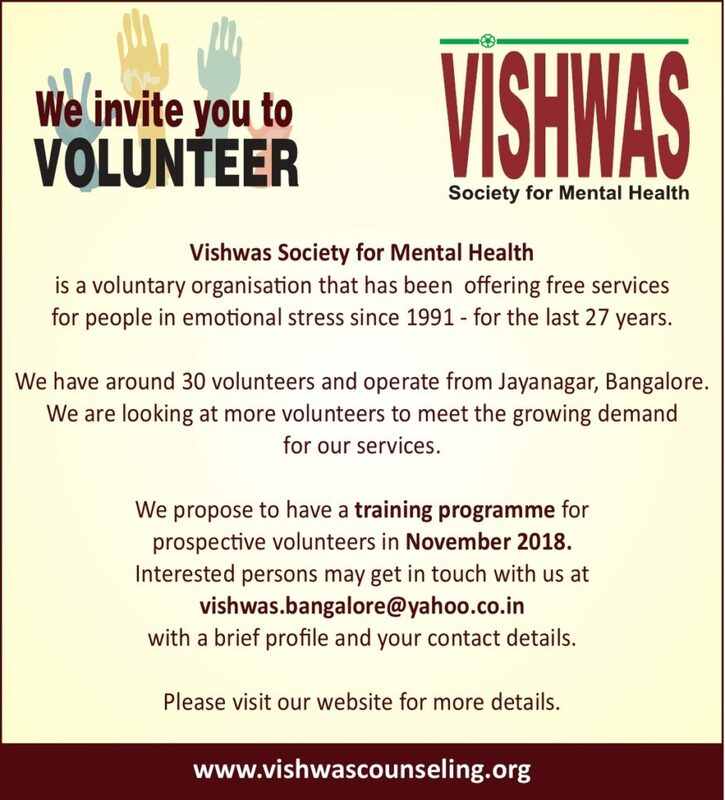 Vishwas Society for Mental Health is a voluntary organisation that has been offering free services for people in emotional stress since 1991 – for the last 27 years. We have around 30 volunteers and operate from Jayanagar, Bangalore. We propose to have a training programme for prospective volunteers in November 2018. Interested persons may get in touch with us at vishwas.bangalore@yahoo.co.in with a brief profile and your contact details.